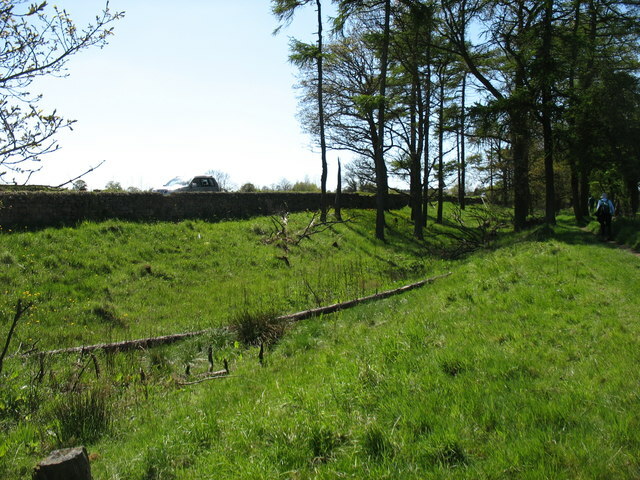 The so-called Ditch was built by the Romans just north of the Wall, to make it more difficult to attack. This is quite a good example of the Ditch, and here the Hadrian's Wall Path (extreme right) is just north of it. However the wall seen on the left is modern!